Plants are widely used as medicine in many cultures around the world. In Singapore, the Chinese continue to practise TCM (Traditional Chinese Medicine) which was passed down from generations. An interesting practice is the Moxibustion, a form of heat therapy in which dried plant materials called “moxa” are burned on or very near the surface of the skin. The heat warms and invigorates the flow of Qi in the body. 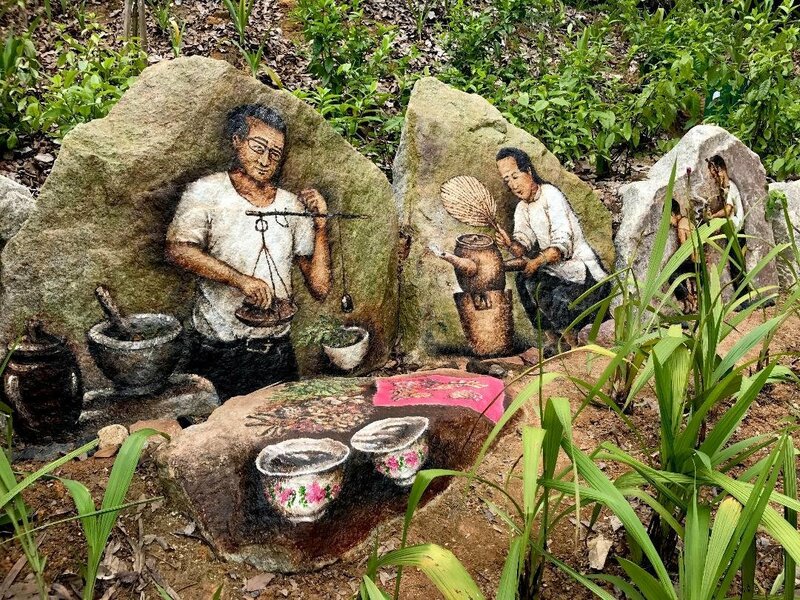 These three rock paintings depict the use of plants as medicine. 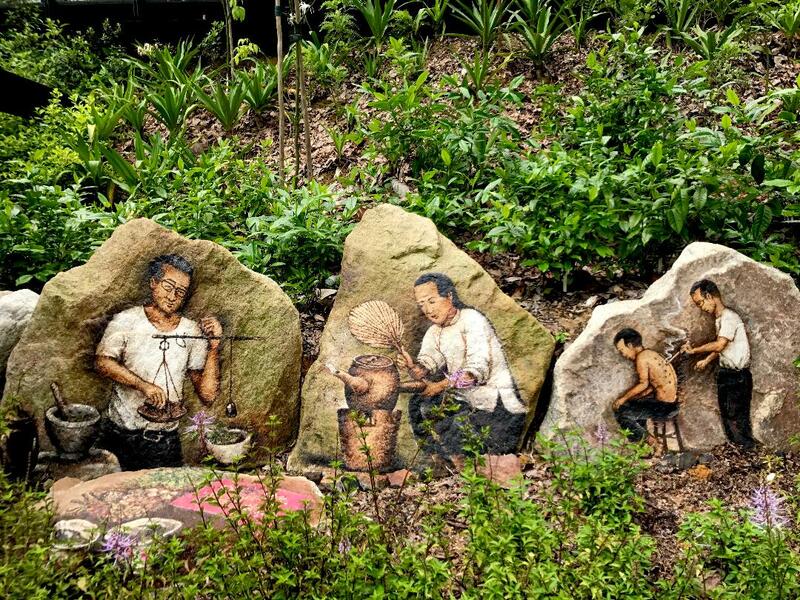 They are one of four sets of rock murals found in the Singapore Ethnobotany Garden, a part of the UNESCO listed Singapore Botanic Gardens. It is a walking distance from Singapore Botanic Gardens MRT Station, near the Eco Lake.